SMS Text Message Alerts Come to Think or Swim! To activate this functionality, go to the Notifications tab of the “Application Settings” menu. You could set this study with a level of say 20, and use it during the first 30 minutes of the market to be alerted to stocks with high volume relative to their average. Of course you’d have to have plots open, since I don’t think it works on a watchlist. It’s meant to be used real-time, as it always shows the sum of the current day so far. 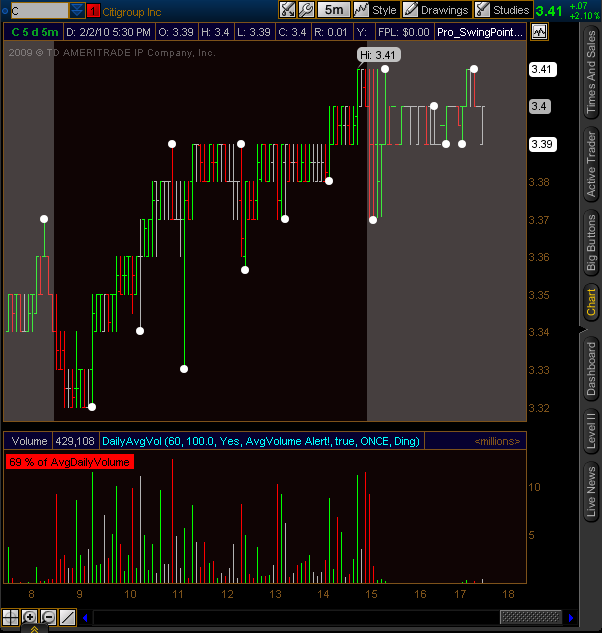 You can configure the alerts and also turn the chart label off if you hate the box but still want the alert. So imagine that stretched out to 60 times. Yikes. Then I just compared today’s volume to the average volume, calculated a percentage, and then used the addchartlabel() function to make the box. I changed the color coding with the assignvaluecolor() function, depending on if the percentage was above or below the alert level. I added my alerts block code, changed the alert parameter to percentage>=alert level, and that’s a wrap. I added my alerts block code, and also fixed it since it broke on Tick charts in the most recent Think Desktop update. 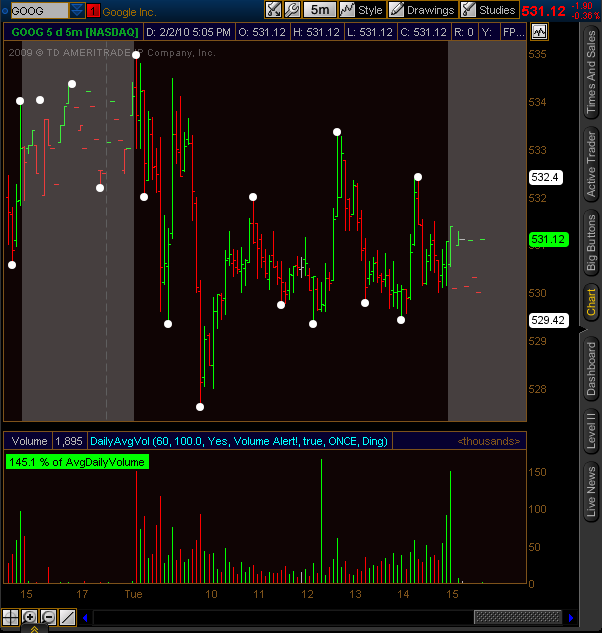 Download “Volatility_Based_Trailing_Stop_v3STUDY.ts” from “Released Thinkscript Studies” on my Google site. The line above says I want an alert if the bar’s high is above the last bar’s high, for example. You can replace it with whatever you want to be alerted about. To use it in your scripts, change the “def alerttrigger = 1;” line in your code to what you want to alert about, and then drop the entire code block at the end of your script file. 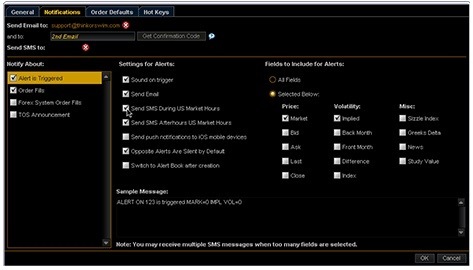 Instant configurable alerts!